Package Contains: 1 x High Yield Compatible Xerox 6360 Black Toner Cartridge. OEM Part Number(s): 106R01221, 106R1221. Compatible in the following machines: Xerox Phaser 6360, Xerox Phaser 6360DN, Xerox Phaser 6360DT, Xerox Phaser 6360DX, Xerox Phaser 6360N. Page Yield: 18,000 pages @ 5% page coverage. 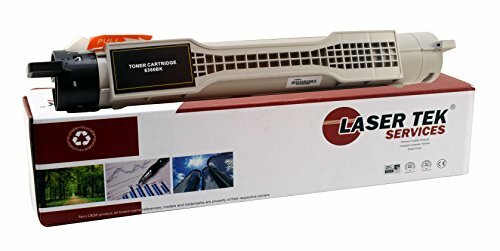 Warranty: Laser Tek Services offers a 1 year, 100% satisfaction guarantee on the purchase of any Laser Tek Services replacement cartridges, drums, and refill kits. About Us: Laser Tek Services believes that quality should be the main focus for our product line and our main focus as a company should be creating a positive customer experience with exceptional products. With our Laser Tek Services band name products we offer a superior line of remanufactured inkjet cartridges, toner cartridges, and toner refill kits that offer superb printing quality. All of our products are manufactured by ISO and STMC certified facility to meet or exceed customers' expectations.